VUTS focuses on the research, development and manufacture of machinery and equipment for the processing industry, above all, in the area of machining, textile, printing, food, packing and medical engineering. VUTS also deals in the automation, development, design and construction of special single-purpose machinery, manipulators, conveyors and testing equipment, especially, for the suppliers in the automotive industry. VUTS activities are characterized by offering a complex set of services from the research and development, design processing to the implementation of a complete technological unit. VUTS disposes of own production capacities to ensure the prototype and small series production of machine parts, machinery and equipment. 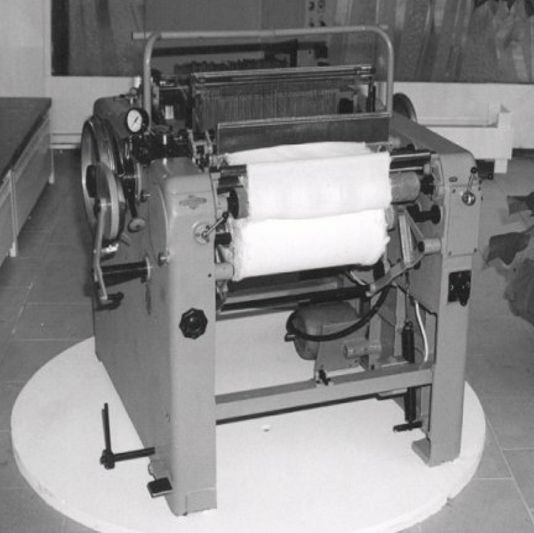 VUTS was established in 1951 under the name Research Institute of Textile Machinery. For the period of existence our organization has become familiar and recognized in the world’s textile machinery, especially, with the unique invention of jet weaving method, numerous patents for open-end spinning, technology of nonwoven fabric production and the range of textile machinery and other equipment. In the past VUTS formed a research base for the manufacturers of textile machinery associated in the concern ELITEX. In the area of textile engineering VUTS is still actively engaged, i.e. in both the research and development and ensuring the manufacture of the equipment being developed, for example, air-jet and water-jet looms that are determined for weaving technical fabrics, namely fabrics made of glass fibre. Since the mid-nineties of the last century our organization has been diversifying its activities and branch orientation, with a significant focus on the area of machinery and equipment for the processing industry. Currently its main activity consists in the implementation of research and development works focused on the development of theoretical knowledge and its direct implementation in industrial applications. VUTS is a research organization possessing a significant application potential and superior technological and instrumental equipment offering to its industrial partners the know-how and cooperation in the innovation and modernization of their product portfolios. In the first half of the last century, shuttle weaving looms dominated in weaving mills. Their textile – technological properties created a seemingly unshakable position with a promising future to them. Nevertheless, some experts emerged that assessed their limits critically, sought and implemented new solutions that moved the weaving literally into a new era. One of them also was a young son of the owner of a small weaving mill at the foothills of the Giant Mountains (Krkonoše) Vladimír Svatý. His contribution to the further development of weaving is jet picking. The invention of jet weaving changes the physical principle of weft picking. The rigid carrier and mechanical force bonds are replaced by a flow of medium. The transfer of momentum from the flowing fluid or air to the weft will impart the necessary acceleration and speed to a thread. The performance of the machine will be increased dramatically and its noise will be reduced. 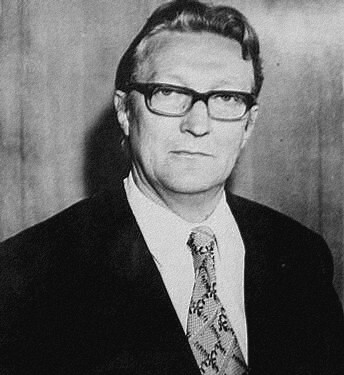 Vladimír Svatý was born on the 19th September 1919 in Roztoky near Jilemnice. After his graduation from the high school in Nová Paka in 1938, he was employed in the family weaving mill in Roztoky that after his father’s death he led until the coup d’ état in 1948, when all businesses were nationalized. Since his youth, he has been engaged in improving the weaving technology, in 1947 he filed the first patent draft for jet weaving machine. Although the patent was granted to his name, the nationalized industry possessed inventions without respect for the rights of the inventor. The then chaotic bureaucratic reforms were the cause of frequent changes of the workplace of the inventor or the manufacturer of a machine prototype. Only his involvement in the newly established Research Institute of Textile Technology in 1951, whose direct successor is our company VÚTS, a.s., contributed to the stabilization of further activities of Mr. Svatý. The subject of the pioneering work of Mr. Svatý was hydraulic and pneumatic picking. The theoretical advantages of pneumatic picking (lower density of the medium and a neutral effect on the mechanical properties of threads) could not be confirmed. The air flow was too fast disintegrated namely and the first machines (P 45 from 1952) have a width of 45cm only, which handicapped them strongly. The hydraulic machines reached higher widths (H 105 from 1952) though, but at the cost of limiting the assortment on the range of materials that water did not harm. Due to hard work, along with obtaining support of an extending own research team and also the support of cooperating textile organizations, it succeeded in overcoming the above mentioned barriers in a relatively short time. In 1956, the invention of confusor (a lamella orifice channel concentrating the air flow) enabled an increase of machine width to 130-160 cm. Thus, pneumatic machines have become competitive. Both types of jet looms were exported to demanding Western markets and in many thousands of numbers (80 000 units) to the countries of the former Soviet Union. They attracted the well-earned attention of the world’s leading manufacturers of textile machinery.